After buying a new iPhone 8/X, you have to put your files or songs into it. 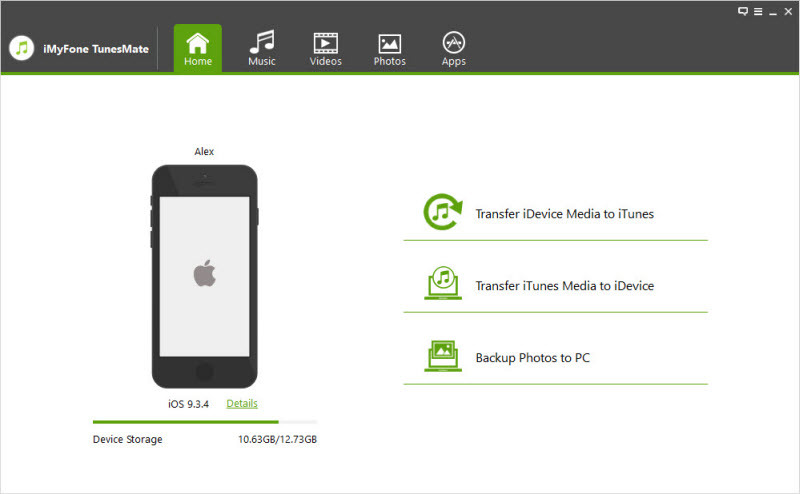 Now when you import data or even download music to your iDevice the next step usually is to make copies or to just backup all the media content to your computer in case you lost your data. Many iPhone users typically have issues with transferring music between their iPhone and their computers, so this piece will guide you on convenient ways through which you can copy music from your iPhone 8/X to your PC or vice versa. The best way to transfer music from your iPhone 8/X to the computer is through the iMyFone TunesMate. It is the best iTunes alternative as a music manager with an effortless way to add files from PC/iTunes to iPhone and even export from iPhone to PC/iTunes. It can run on both the Windows and Mac platforms. TunesMate is designed for easy usability, and you can even use it to move your files by just dragging and dropping. It's fully compatible with all iOS versions, including the latest iOS 12. Two-way transfer to transfer both purchased and non-purchased music between your iPhone and computer freely. Sync music from computer or iTunes library to iPhone without overwriting previous data. Overcome all iTunes restrictions: sync without data loss, two-way sync, support unlimited iDevices, no iTunes errors, etc. Support transfer of most iOS data, including music, movies, playlists, ringtones, podcasts, audiobooks, TV shows, iTunes U, photos and 10+ more media files. Step 1. Open the iMyFone TunesMate application on your PC/Mac. If you do not have it, you can download it. Step 2. Connect your iPhone 8/X to your computer using a compatible USB cable and wait for it to be detected. Step 3. From TunesMate interface click on the “Music” icon on the top bar to go to the music window. Step 4. 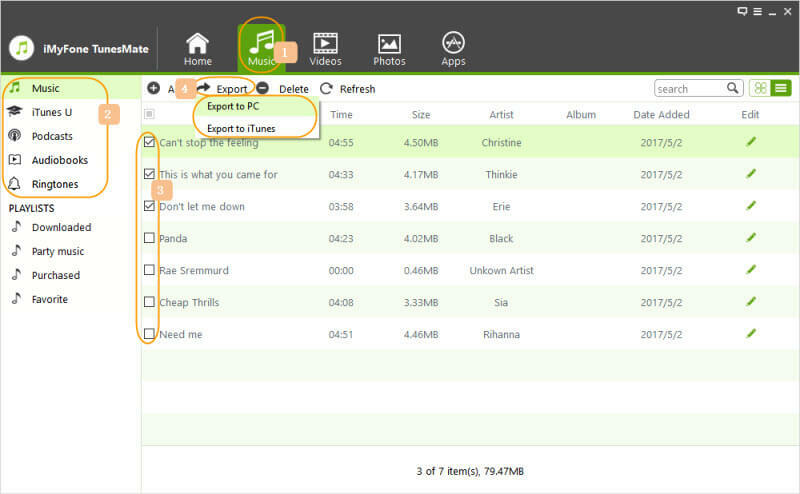 Preview and select all the music you want to export and then click “Export > Export to PC” from the top menu. Step 5. From the window that pops out navigate to the target folder you want to export to and then tap” OK” to begin the export process. Step 6. Once the transfer is complete TunesMate will show “Export Successfully.” Click “OK”. Step 1. Launch iMyFone TunesMate on your computer and connect your new iPhone 8/X with a compatible USB cable. Step 2. Click on the “Music” icon to go to the music window. Step 3. 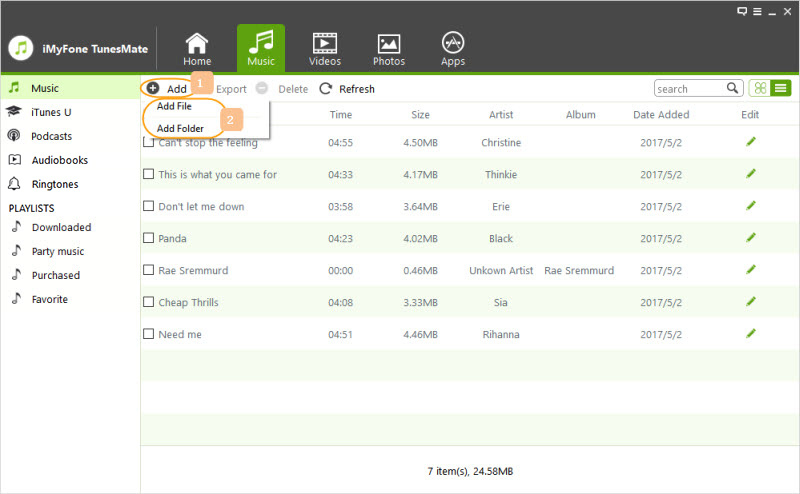 Tap “Add > Add File/Folder” from the top menu to transfer music from your computer. Step 5. Then from the window that pops out navigate to where your music is located on your computer and then click open to transfer the selected folder or tracks to your iPhone. TunesMate is fully compatible with the latest iOS 12 and older versions. It's also highly recommended by top tech media, like getintopc.com, tricksworldzz.com, crunchytricks.com, etc. Step 1. On your computer open the iTunes application and then connect your iPhone 8/X with a USB cable that came with your iDevice. Step 2. Wait for your iPhone to be detected. Step 3. From the iTunes menu bar on top, click on file and then scroll down to devices. Step 5. Ones you click on it this will transfer all the purchased files from your iphone8/x to your computer. Step 1: Connect iPhone to computer and open iTunes. Step 2: Click iPhone tab at the top left corner on iTunes. Choose "Music" from the left bar. 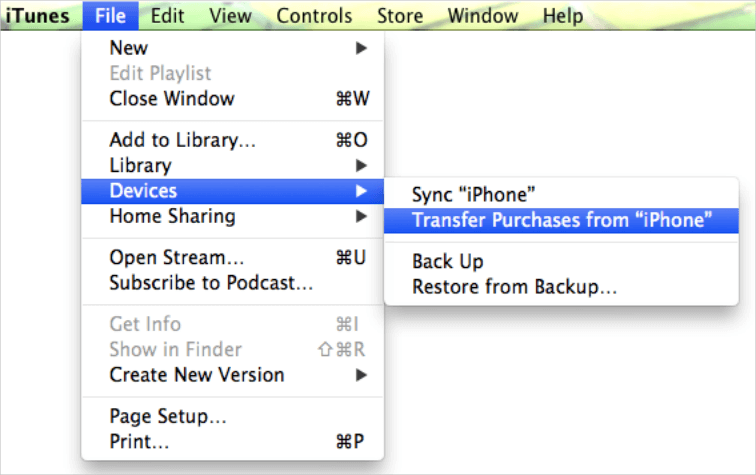 Step 3: Check "Sync Music" and select the music you want to transfer to iPhone. Step 4: Click "Apply" to start syncing the selected songs to your device. Unfortunately using iTunes to move data between your iPhone and computer is not as simple and straightforward as you may think. This method has a few setbacks and disadvantages which makes TunesMate the best way to transfer your media content. 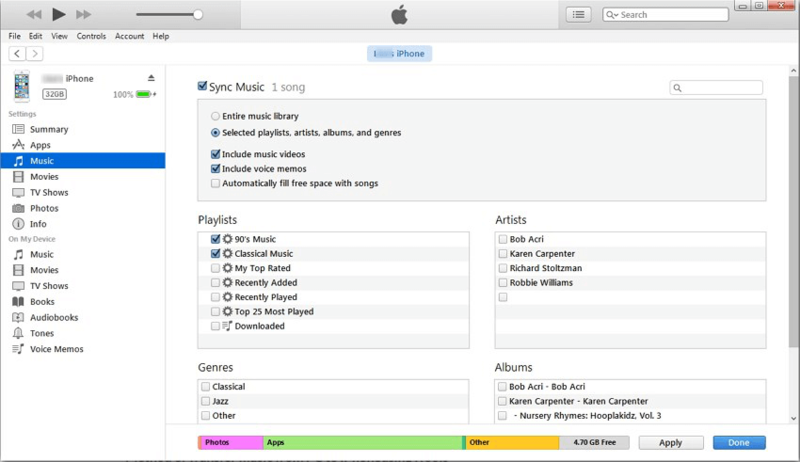 Outlined below are some of the difficulties of using iTunes to sync music. iTunes is complicated to use and if not, careful you might end up deleting all the old files that you had on your iTunes library prior to the transfer process. iTunes only supports the transfer of purchased Content from Apple Store and cannot transfer any data from other online stores like Google, Amazon and also freely downloaded files. With iTunes, you cannot selectively preview files you want to move from your iPhone X/8. iTunes has so many limitations and restrictions. For instance, it only allows syncing of music up to a maximum of five devices. iTunes doesn't support to transfer ringtones, apps and PDFs any more.